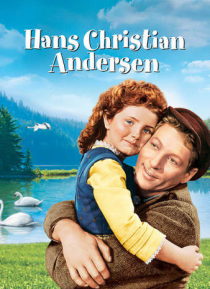 In the story, Hans Christian Andersen, a shoemaker, is booted out of his own village by the Town Council at the request of the local schoolmaster, who would rather the children of the village attend school than listen to Hans's fairy tales. Not wishing Hans to undergo any humiliation, his apprentice Peter convinces him to go to Copenhagen, before Hans can find out what the Town Council has decided… . Peter goes with him. In the final scene, we see the now celebrated Hans, surrounded by the children and all the adults (including the schoolmaster) , having even more success than before telling stories.